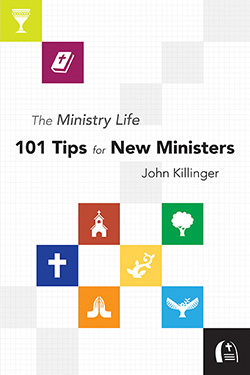 Sharing years of wisdom from more than fifty years in ministry and teaching, The Ministry Life: 101 Tips for New Ministers by John Killinger is filled with practical advice and wisdom for a minister’s day-to-day tasks as well as advice on intellectual and spiritual habits to keep ministers of any age healthy and fulfilled. With a chapter of guidance from other pastors, the book shares important and timely insights that will help ministers, both new and seasoned, find their way a little more quickly and easily. John Killinger, preacher and theologian, has pastored eight churches; taught in seven universities and seminaries, including Vanderbilt, Chicago, and Princeton; and was Distinguished Professor of Religion and Culture at Samford University. 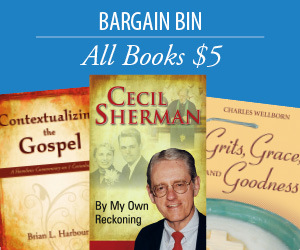 He is the author of many books about preaching, worship, literature, ministry, and spirituality. He has a special place in his heart for ministers and their families, for he knows how hard their jobs are and what it often costs to do them. While this book could be titled Introduction to Ministry 101, the reality is that its greatest value is as a post-graduate course for those who thought seminary prepared them for pastoral work. Here are 101 “pearls of great price”! Some are gems of pastoral wisdom intended for new ministers—like “Be yourself,” “Pick your battles,” “Thank your staff,” “Accept gifts graciously” and “Be kind to your ushers.” Others sparkle with insights worth the price of this book over and over again for clergy at any stage of their ministry. “Always remember that the church you pastor is God’s church, not yours...” “Every complaint is an opportunity...” and “Visit, visit, visit” are maxims every pastoral search committee should put in the hands of their successful candidate on installation day!